Apollo Hospitals opted for Matrix to Drive Communication between its Two Branch Locations over IP . Reduces Communication Cost by 45%. Apollo Hospitals a forerunner of integrated healthcare in Asia, as well as globally has forged a legacy of excellence in Indian healthcare. Its presence encompasses over 10,000 beds over 51 hospitals, more than 1500 pharmacies and over 100 diagnostic clinics. They wanted an optimized solution to connect their Bannerghatta Headquarter, Bengaluru to Jayanagar hospital, Bengaluru with migrating their communication towards IP enabled infrastructure. The existing client setup included a phone system that lacked their feature wish list and did not turn up to be cost effective solution for the Hospital communication. On analyzing the complete scenario, the client was skeptical about the solution that can deliver IP enabled services with minimum communication infrastructure changes at least cost. 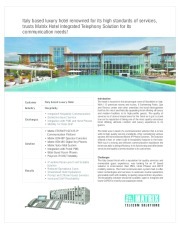 The solution offered by Matrix included ETERNITY LE - IP Phone System up to 1500 user capacity at headquarters and previously installed ETERNITY ME at Jayanagar hospital interconnected over SIP networking. 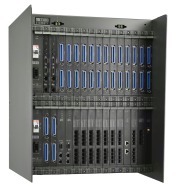 Matrix systems were easily deployed over IP at the customer location. 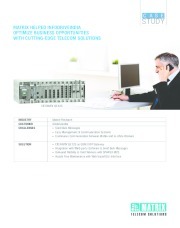 Matrix IP Phone System drastically reduced their Phone system billing to 45% of the existing. 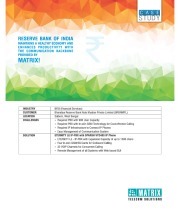 Along with digital phones, Matrix Phone Systems extended ISDN PRI, VoIP and GSM connectivity for cost effective regional calling. 1.Specific Trunk should be Allotted to each group of Users Formed. 2. The outbound calls that are unanswered shall return to the same trunk from which the call was initiated. Understanding the need to unify the staff and doctors across both locations, closed user group (CUG) feature configured in Matrix systems at each location allowed them to reach any co-worker just by dialing 4-digit short codes. Also for desk phones they just had to dial the extension number. 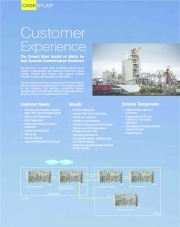 This provided dialing flexibility to the customer. 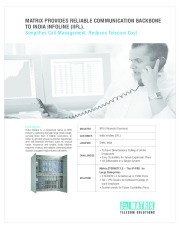 Matrix IP Phone Systems proved to be a perfect blend of technology and cost effective solution to Apollo. Aqualux hotel is located in the elegant town of Bardolino, with 113 rooms and suites, 8 swimming pools, Spa and fitness center. Aqualux distinguishes itself as the most aesthetically appealing hotel offering all luxury and modern facilities. 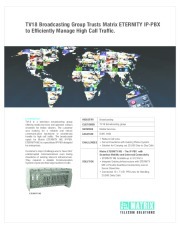 TV18 broadcbasting group trusts Matrix ETERNITY IP -PBX to efficiently manage high call traffic. ONGC Tripura Power Company Ltd. (OTPCL) is an Energy Utility Plant owned by Oil and Natural Gas Corporation (ONGC). They built the plant with an aim of propelling the economic development of North Eastern regions. InfodriveIndia collects 20 million import and export transactions from Indian ports every month. 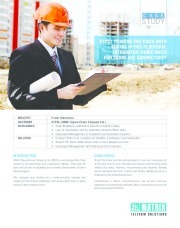 Customized reports are sent to companies helping them monitor their operations. 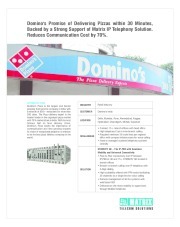 Domino's Promise of Delivering Pizzas within 30 Minutes, Backed by a Strong Support of Matrix IP Telephony Solution. Reduces Communication Cost by 70%.